The Quinny Yezz combines a head turning contemporary Euro-design with the latest technology for the ultimate travel friendly pushchair. 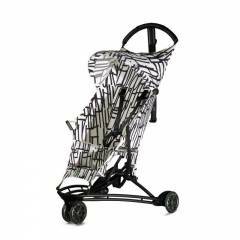 It’s been specifically designed to be very light and compact when folded, making it ideal for navigating public transport. 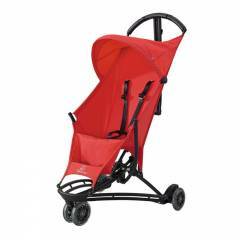 It’s extremely manoeuvrable around the streets, cafés, and playgrounds, and above all, very comfortable for your little one. Designed for your child from 6 months until 15kg or around 3½ years old, it’s a top seller. Buy the high quality Quinny Yezz pushchair at Maxi-Cosi Outlet prices to enjoy easy adventures out and about. 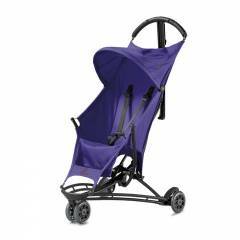 A lightweight pushchair can save your back if you need to lift and carry it around. It also makes it easier to push as your child grows. 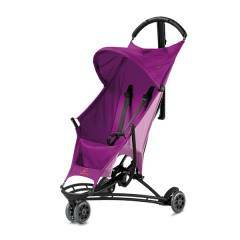 The Quinny Yezz is the lightest stroller available, weighing only 5.6kg. It’s constructed with high-tech IXEF®, a performance plastic, which is engineered to be super strong yet light as a feather. Our designers have also added durable skate wheels, which are very easy to push. The hammock-style seat keeps the weight and bulk down while ensuring comfort. The Yezz collapses simply using just one hand, so you have a hand free to hold on to your child. It can stand upright when collapsed for your convenience. And it has an integral strap to sling it over your shoulder, allowing you to keep both hands free. That’s great for tackling the airport or if your independent toddler wants to walk for a bit. It’s made from a tough, water-resistant fabric that is easy to keep clean to maintain the stand-out looks. There’s a neat hood for added protection from the elements when you’re out exploring together.